We have been appointed by Argo Real Estate to handle the property management of Shopping City Sibiu. We worked consistently to increase the value of the asset through strategic approaches. We worked alongside the landlord throughout the entire extension process of the project, optimizing the layouts and adapting the tenant mix to the customer profile and catchment area. We increased the GLA surface of the center with almost 10,000 sq. m and thus increasing the rental income. 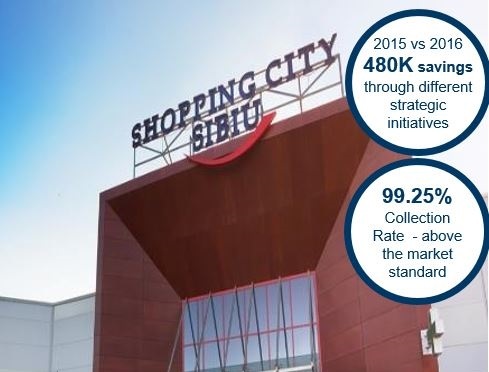 Shopping City Sibiu is a project where we demonstrated its capabilities by combining retail property management experience with strong letting abilities, bringing strong international retailer within the project: H&M, C&A, Douglas, DM, Decathlon, Carrefour, Leroy Merlin, Deichmann, Hervis or Humanic.